The Modified Hall Technique is a mainstream procedure that is elegant, patient friendly, predictable, and profitable - and it is incorporated into the pioneering Bioclear Method, invented by Dr David Clark, founder of the Academy of Microscope Enhanced Dentistry. The Modified Hall Technique requires a single appointment. It is a procedure where the selectively retained caries will become hard, dried out, and essentially sterile, via the nourishment and multiple healing factors from both the pulp cells and the odonotoblasts. Case selection is key. The pulp must be vital and the teeth asymptomatic. 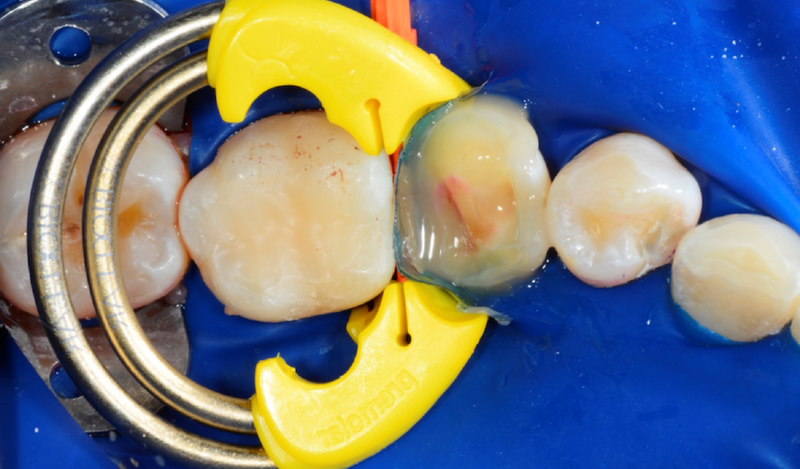 A young patient contacted Dr David Clark, inventor of Bioclear, after her dentist recommended nine root canals and crowns on her posterior teeth. This was an expensive treatment that the patient could not afford, and did not deem necessary as the teeth were not painful. Her only option was to have most of her back teeth extracted. The preoperative radiograph showed the devastating occlusal caries that had occurred in spite of sealants having been applied previously. 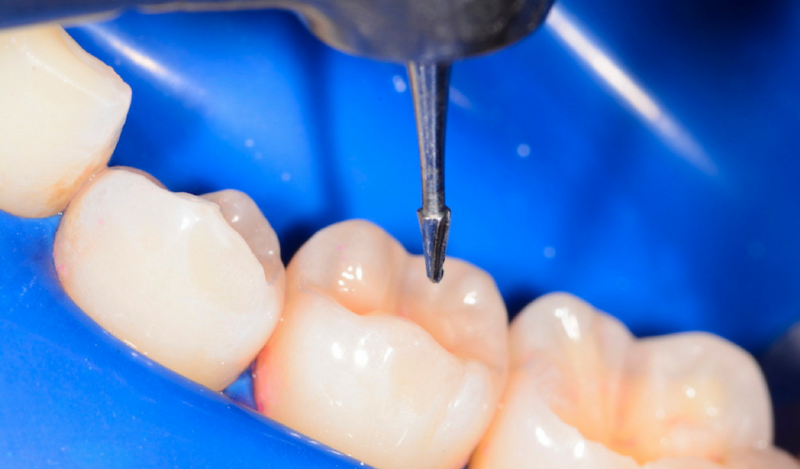 Although the patient had the responsibility for follow-up care, she did not seek regular check-ups because the sealants had unfortunately given her a false sense of security. 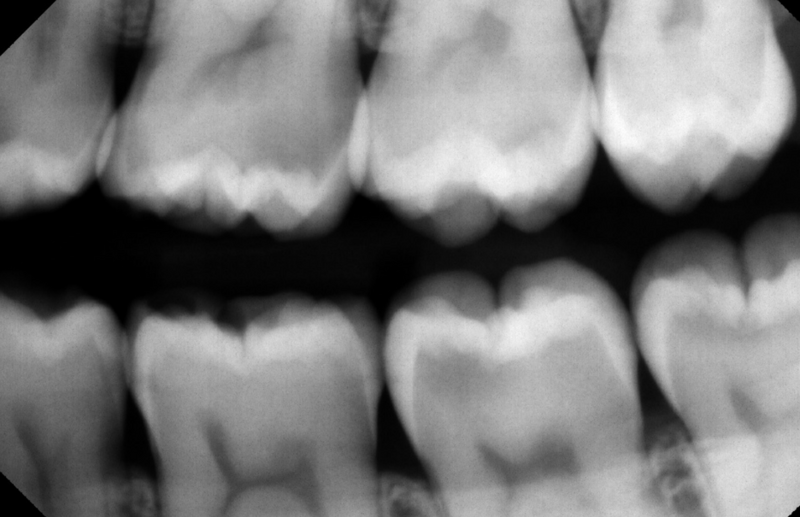 According to G. V. Black’s rules, the patient would have indeed needed nine root canals. Instead, Dr Clark was able to carry out the Modified Hall Technique and modern cavity preparations combining fissurotomy, calla lily, and overlay cavity preparations. The 16 posterior teeth were treated in a marathon six-hour appointment. Nine of those teeth required the Modified Hall Technique. Tooth No. 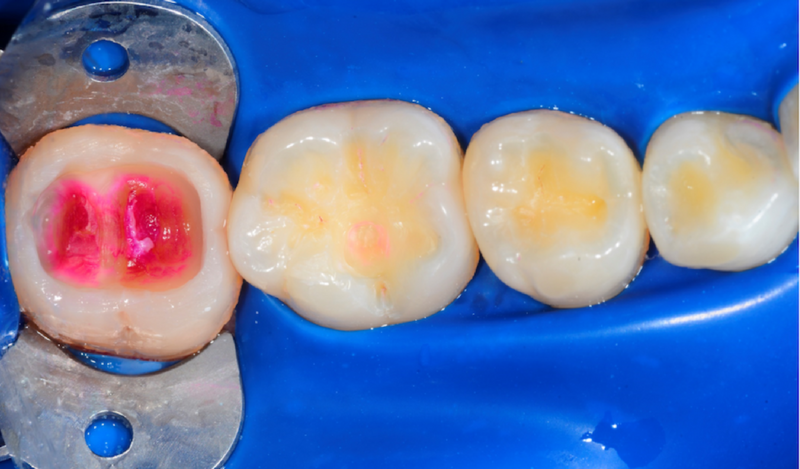 18 was clean (blasted) enamel at the infinity edge, with absolute caries removal at the dentino-enamel junction. 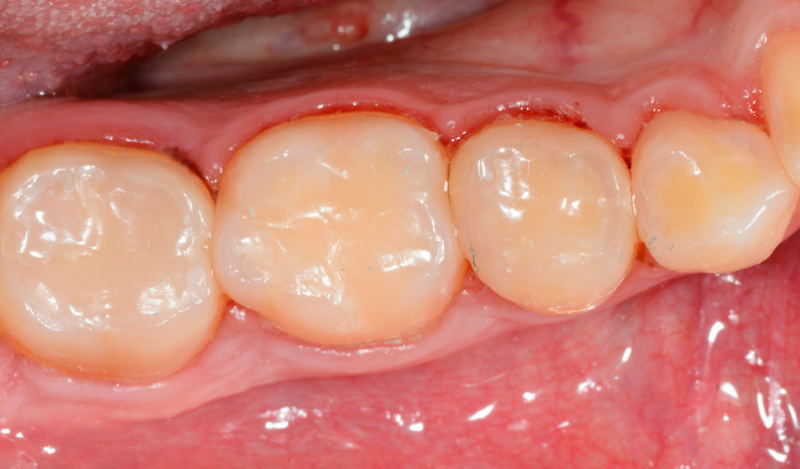 Red stained caries were opaqued (Opaquer [Pulpdent]). 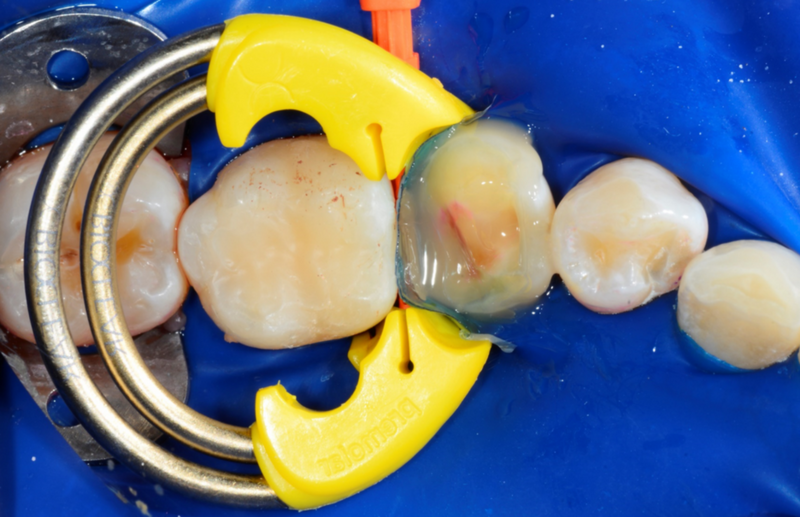 A fissurotomy bur was put in position to prep stain caries from grooves before selective caries removal. An exquisite external seal was required to achieve a high success rate (this is reported in scientific literature at 95%). There were extremely deep caries in tooth No. 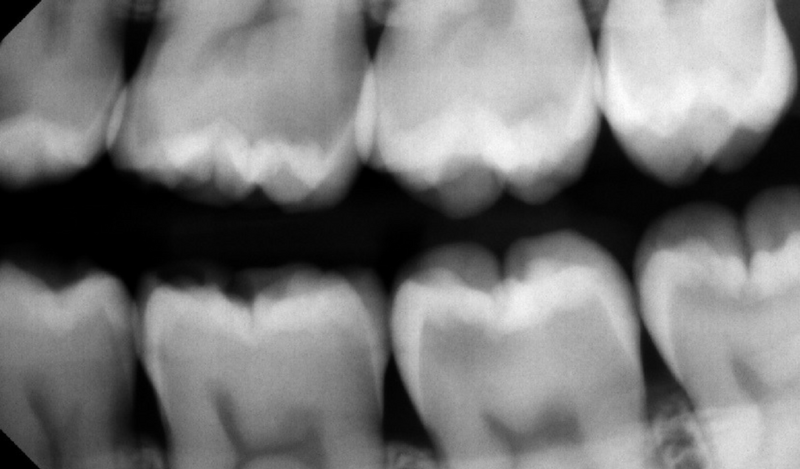 29; deep marginal caries and soft tissue near the deep margins were removed and a rubber dam was put in position. A medium diamond wedge was also placed (‘pre-wedge’). The new Bioclear Bicuspid Twin Ring Separator will not collapse into the preparation, while twin nitinol wires will not stretch out and lose force as traditional NiTi spring separators do. 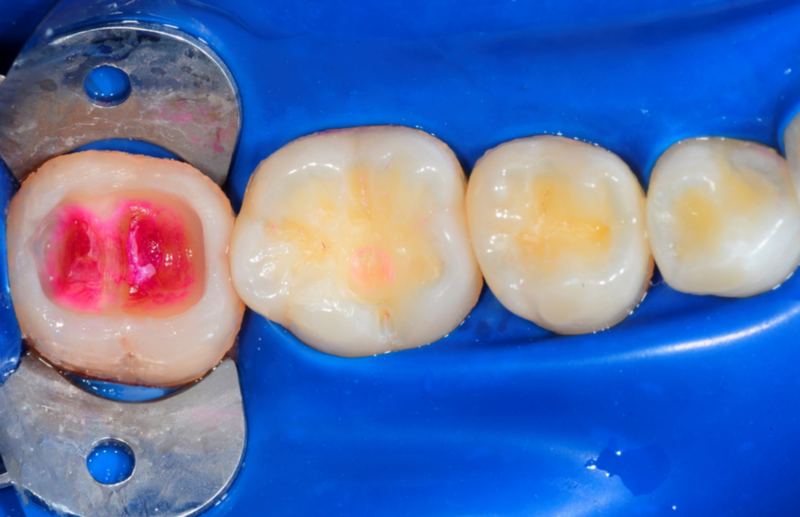 Welcome to the new era of caries removal. 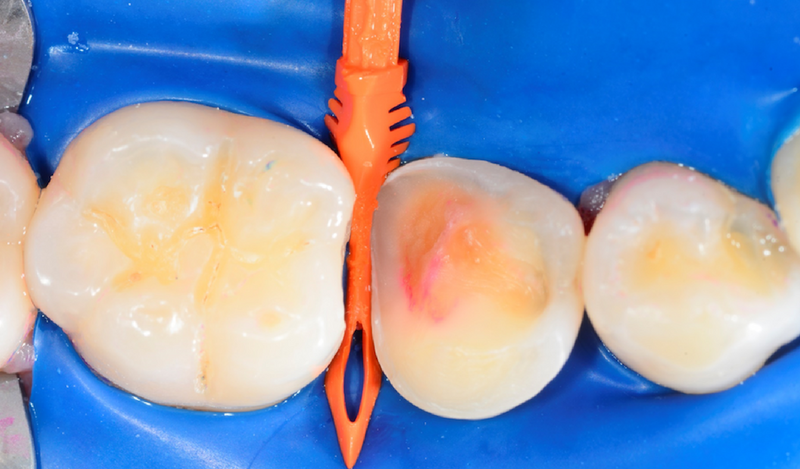 Our free guide addresses the problem of unnecessarily aggressive restorative treatments, presenting a range of conservative solutions for treating black triangles, Class II restorations and peg laterals, as well as closing diastemas. 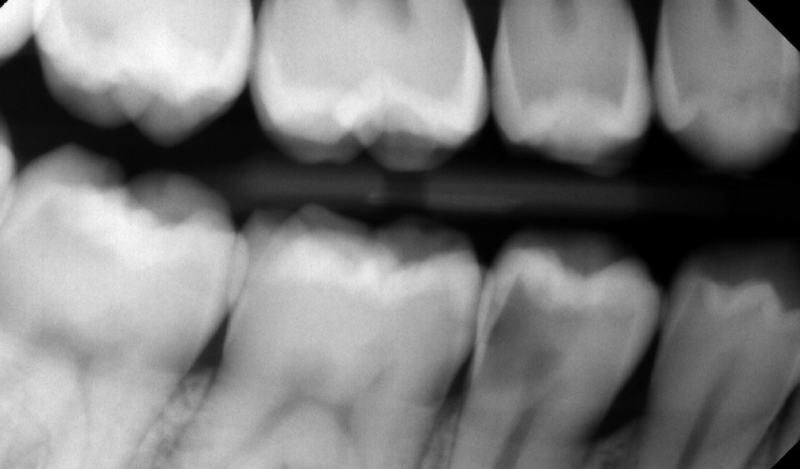 *This case was originally presented by Dr David Clark in Minimally Invasive Dentistry.